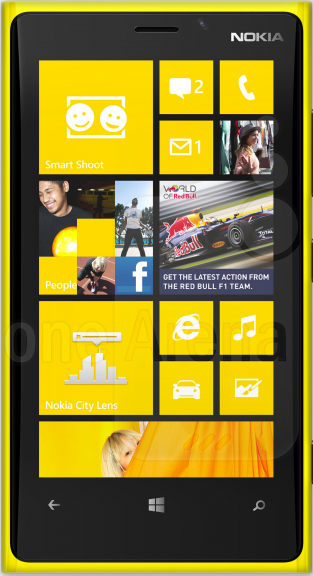 Following in their popular line of Lumia phones, Nokia has outdone themselves with the latest Lumia 920. In a market with very few solid Windows phones, the Lumia 920 will deliver the best Windows Phone 8 OS experience for the user. Nokia has an amazing track record for focusing on the user, making it easy to connect to other devices wirelessly, and the Lumia 950 doesn’t disappoint. Boasting Nokia’s PureMotion HD Plus technology, the vibrant 4.5 inch IPS TFT high definition display is ideal for viewing photos, movies, playing games, and enjoying any form of media. There is also support for all of the most popular file formats, which makes syncing your library from your PC, buying and downloading tv shows, music and movies will be easy. If you’re into gaming, you’ll appreciate smooth game play with the Adreno 225 GPU. The 8MP rear-facing camera with Carl Zeiss optics captures stunning photo and video, which can instantly be shared via your favorite social networking apps. You also won’t have to worry about battery life, even with media playback, browsing, or calls; the Lumia 920 offers 17 hours of talk time. Whether it’s multi-tasking, browsing, managing several apps, or even just typing, the Lumia 920 debuts Windows Phone 8 at it’s best, making every action smooth and seamless. Powered by a 1.5 GHz processor, with 1GB of RAM, you can expect zero lag time, or delays in page loads. Staying connected is also easy, with 4G LTE service in addition to DLNA WIFI hotspot. Sharing data and connecting to peripherals wirelessly is a breeze with Bluetooth, NFC and GPS. All of your favorite apps will be supported, with some exciting new developments from Nokia including Nokia Maps, making the Lumia 920 a solid navigational device, as well as Nokia Drive and Pureview. You can also enjoy wireless charging, which is a perk we’d like to see more often in mobiles. Nokia is striving to deliver the best Windows Phone 8 experience for the user. And with the latest update to the Windows Phone operating system comes plenty of perks. We are seeing a significant improvement in mobile payments and NFC chip technology thanks to Wallet, video calls and chat with Skype, media streaming with your XBox thanks to SmartGlass, and navigational services thanks to NAVTEQ maps, which includes dynamic public transportation routing, offline caching, turn-by-turn directions and more.